An indoor fabric with a superior soft touch. 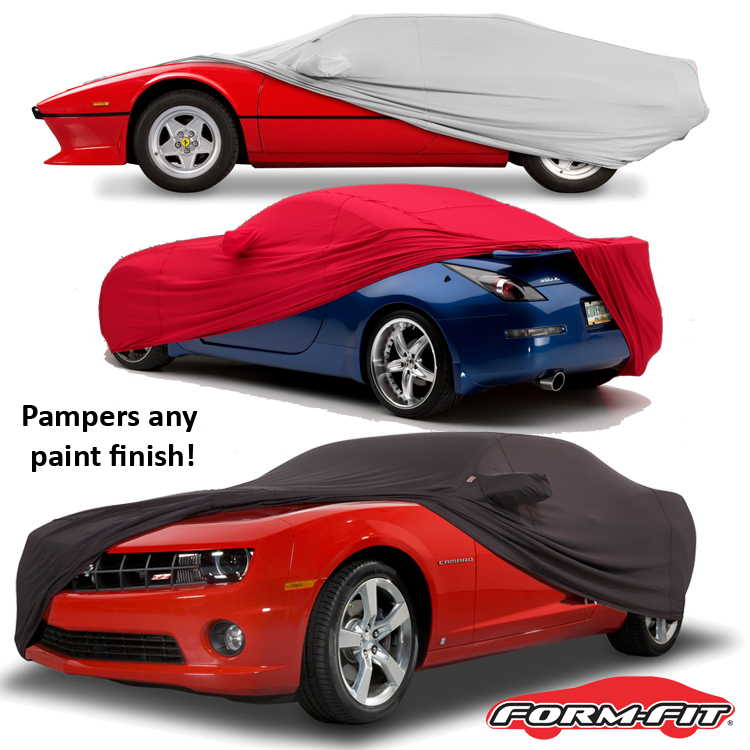 Designed for cars that are not daily drivers, Covercraft’s Form-Fit® car covers provide a body-hugging fit AND a super soft inside to pamper fine paint finishes. See The Stretch - Fits like a glove and the sheared cotton fleece on the inside is the softest finish you can put on a vehicle for indoor storage - a real luxurious custom car cover. We start with an outer shell of woven knit polyester that has Lycra/Spandex® added to the yarns to provide and memory – the stretch provides the body-hugging fit and the memory assures the cover will retain its shape over an extended period of time.